Coconut oil has so many positive properties. It has been shown to reduce belly fat, heal wounds, serve as an NSAID alternative, increase bone health, and more! Not to mention the fact that the scent of coconut oil can transport you in spirit to a warm tropical island. Coconut oil = beach to me! 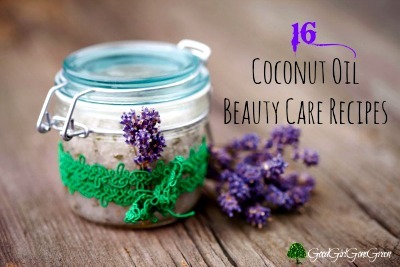 Visit the 16 Homemade Coconut Oil Beauty Care Recipes link below to see all 16 homemade coconut oil beauty care recipes.